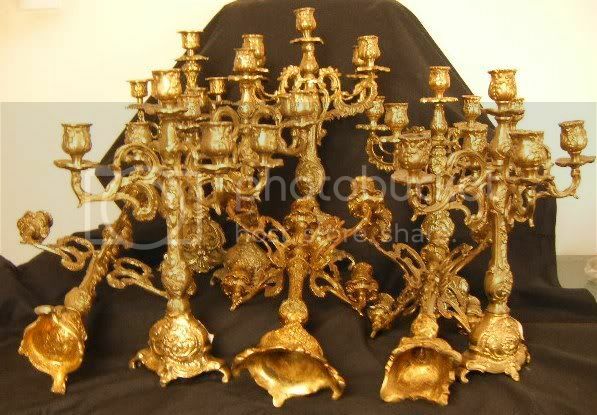 A collection of vintage candelabras some of which are listed below. Pretty tole ware table light with pink flowers around the base and a vintage pale pink lamp shade. 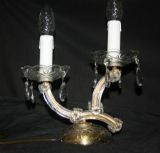 Matching in style to the chandelier (Ref: ANV18a) & wall lights (Ref: ANV18b) which may still be available.